#Hermitage. #WinterPalace. #GoldenRoom. #SaintPetersburg. #StPetersburg. #BestOfStPetersburg. #HermitagePrivateTour. Hermitage excursion. State Hermitage Museum private tour. Winter Palace private tour. The most famous art museums in Russia. State Hermitage Museum tour. State Hermitage museum St Petersburg Russia individual tour. Hermitage guided tour. Winter Palace tour St Petersburg Russia. 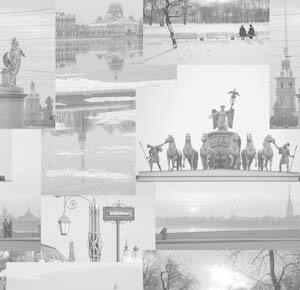 Winter palace St Petersburg tours. Hermitage museum guide. Tour of Hermitage museum. What to see in St Petersburg Russia. Things to see in St Petersburg Russia. St Petersburg tourist attractions. private tours St. Petersburg Russia. The State Hermitage museum is the one of the largest and the richest museums of the world. Its collection includes more than 3 000 000 items and the main complex alone occupies 5 buildings situated in the heart of the city - in Palace Square. The largest, most beautiful and famous building of the complex is the Winter Palace - the former winter residence of the Russian tsars. The Hermitage tour is a must with anyone who comes to St. Petersburg for the first time. Everyone will find something to their liking there. You can see luxurious rooms which evidenced historical meetings take place and decisions made. You can visit the exact room where our revolution was started. You can walk on the floors where the foot of the Russian tsars stepped. Art lovers will have a unique opportunity to enjoy masterpieces that belonged to the brush of Rembrandt, Rubens and El Greco, Leonardo da Vinci and Titian. The Hermitage displays the world's best collection of French impressionists and Post impressionists. We have a magnificent collection of antiquities as well as French and Italian sculpture designed by Houdon, Falconet and Canova. If you prefer applied art you may see exquisite furniture, porcelain, majolica and tapestries. You can find more information on the official site of the museum. The Hermitage is a place where you can spend a week not being able to see 10% of the collection on display. 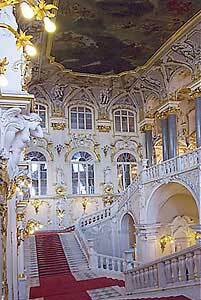 Besides the Winter palace alone has more than a 1000 rooms and 117 staircases. So to have a possibility to see the best possible selection of interiors and exhibits and not to waste time trying to find your way around we recommend you a guided tour, which usually takes about 3 hours. If you have special interest in any field of art we can adapt the tour to your liking. NB! If you are particularly interested in jewelry we also can include a special tour to the famous Golden Room of the Hermitage, where you can see the collection of gold and jewelry that belonged to the Russian tsars. In case you want to use this opportunity, please let us know beforehand, as this tour has to be arranged in advance.